Princeton Junction, N.J. & Jacksonville, FL, September 14, 2016 – The U.S. Payments Forum (formerly the EMV Migration Forum) and the National ATM Council, Inc. (NAC) are partnering to provide an EMV implementation-focused workshop at the upcoming NAC2016 Conference & Expo coming to Orlando this October. The workshop, “Implementing EMV at the ATM,” will be held on October 19, 2016 at 10 am ET during the NAC2016 Conference & Expo at the Buena Vista Palace, Walt Disney World™ in Orlando, Florida. Independent ATM providers, small banks, credit unions, and merchant deployers preparing to implement EMV chip card technology at the ATM in the U.S. are encouraged to register at http://thenatmc.org/EMV-ATM-2016. Registration is free to any ATM industry participant interested in attending – and will include lunch and a keynote presentation by NASA’ s Technology Transfer Partnership Manager, G. Michael Lester. In addition, workshop registrants interested in attending the larger NAC2016 Conference & Expo can obtain a full event pass at a discounted rate of only $295. For more details, visit http://thenatmc.org/EMV-ATM-2016. This workshop is based on the recent U.S. Payments Forum white paper, “Implementing EMV at the ATM: Requirements and Recommendations for the U.S. ATM Community,” created by the Forum’s ATM Working Committee. 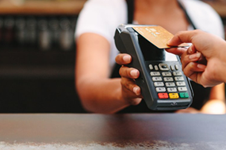 This workshop is part of the U.S. Payments Forum’s ongoing efforts to provide the education necessary for the U.S. to successfully move to chip cards. For Chicago-area banks, credit unions, independent ATM providers, and merchant deployers, the Smart Card Alliance will also host an EMV workshop on September 19 from 1-3pm CT at the Rosemont Hilton, Chicago O’Hare. More details regarding the September workshop are available at http://www.cvent.com/events/implementing-emv-at-the-atm-workshop/event-summary-0da39d65e5bd45f58bb027ef33ef428e.aspx.